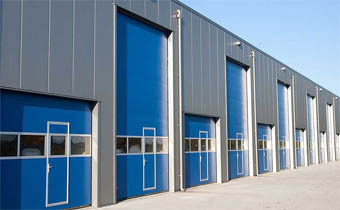 Do you wish to hire the best garage door specialists in the city of Lithia Springs, Georgia? Look no further than, A1 Garage Door Service. We are not just your typical garage door service, we are your one-stop-shop for everything you need for your garage doors. Contact us today at 470-236-0800. A garage door should always be in good condition for you to have no hard time in accessing your garage spaces. When your garage door isn’t working properly, it can really be annoying and a hassle. It is best if you call the experts immediately to your garage door problem won’t persist. A1 Garage Door Service guarantees quality service and products that you can’t find in any garage door service companies in Lithia Springs. Once, you’ve called us, we’ll quickly analyze your needs for FREE, as well as give you professional advice from our experts. We promise you that we’ll get your commercial and residential garage door operating smoothly, safely, and reliably again when you hire us. Our professional technicians are trained for months and completed it before we send them out in the field to perform better than any other technicians. In fact, they continue learning and studying for new information, knowledge, and techniques in order to work better than before and keep you up to date with the latest garage door technologies. With our fast and reliable service, we’ve already earned recognition and awards from various leading online review sites. Headquartered in Lithia Springs, Georgia, we have satisfied and happy customers all around the city. Give us a call to schedule an appointment with A1 Garage Door Service today and let us prove just how good we are with all your garage door repair, installations, inspection, and sales needs. You’ll definitely experience the complete customer satisfaction that you have never encountered from other garage door service companies before when you decide you pick us to give you services. A1 Garage Door Service started this company for more than a decade already. Since then, we’ve been working with homeowners and business owners in the beautiful city of Lithia Springs to help them with garage door installations, repairs, maintenance, and sales. We cover garage door openers as well and their components. Our goal is to help the people of Lithia Springs with all of their garage doors needs for them to always have a well-functioning, safe, and secured garage door system. This is our way of providing our customers with 100% customer satisfaction. To make your Lithia Springs, Georgia garage door installation, repair, maintenance, and sales easy, simply call the experts repairmen of A1 Garage Door Service. Whatever your garage door issues are, whether your door is suffering from a broken torsion spring, wear and tear doors, or a broken belt drive garage door opener, just leave it to us and you can sleep at night with a peaceful mind. Remember, when it comes to Lithia Springs garage door needs, A1 Garage Door Service is the name you can trust. For further details and to schedule your appointment, contact us at 470-236-0800.